A moment of cognitive estrangement in the most unexpected of places. 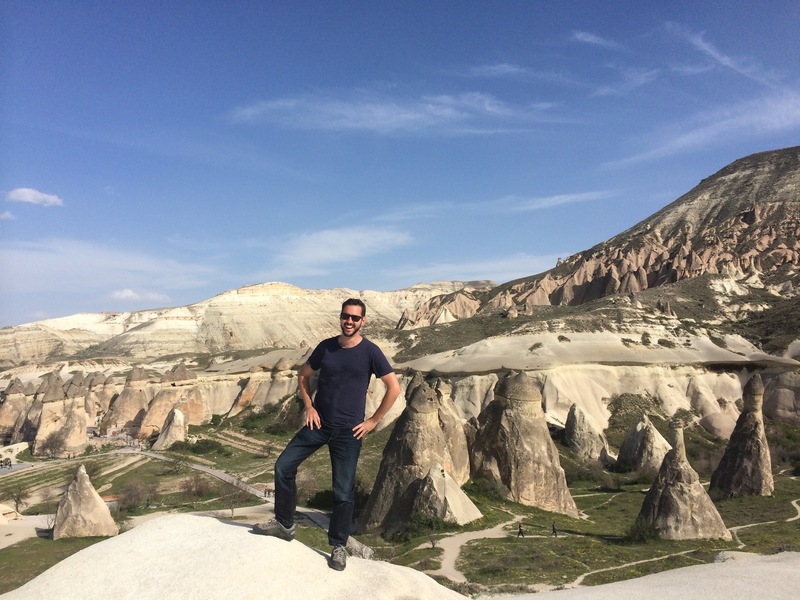 My trip through Europe has brought me to Cappadocia, in the heartland of Turkey. It is a far more ancient place than anywhere I’ve yet been, with a landscape that defies imagination. And yet it’s eerily familiar to me – the sort of alien landscape I often encounter in science fiction. Cappadocia is a land of dust and heat. Arid scrubland stretches to the horizon. Bulbous pinnacles rise out of the rock. Winding ravines cut through the dirt. Jagged mesas are silhouetted against the sky, and in the far distance, a snow-capped volcano (Mount Erciyes) broods over everything. Cappadocia is a small region, only 300 sq km. It formed about 30 million years ago, when volcanic ash blanketed the landscape. The ash solidified into a material known as tuff, which was eroded by wind over the millennia until it formed the distinctive columnar shapes – the peri bacalari (fairy chimneys). Many of these chimneys are capped with harder rock, such as basalt. One of the most frequent phrases I’ve heard to describe this place is “surreal Moonscape.” Everyone seems fond of using it – the guides, the postcards, the guidebooks. And it strikes me as an apt description. The landscape doesn’t quite resemble the actual surface of the Moon, but a surrealist distortion of it, a sort of Dali-esque interpretation. It’s a Moonscape straight out of the science-fictional imagination – something from the minds of those pioneers such as H.G. 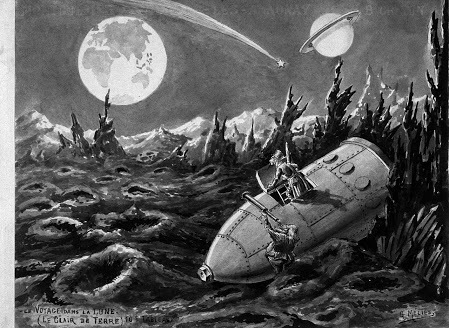 Wells or Georges Méliès, who dreamt of the lunar landscape long before the Apollo landings brought it to life. This is how humans once imagined the Moon to be, with twisting pinnacles and steep mountains rising out of seas of dust. The sheer sense of otherworldliness invites comparison to any number of planets from early pulps and Space Operas. What is most remarkable is how humans have eked out an existence here. Their homes are carved into the side of the valleys and mesas, little black doors and windows at the top of narrow stone stairs. 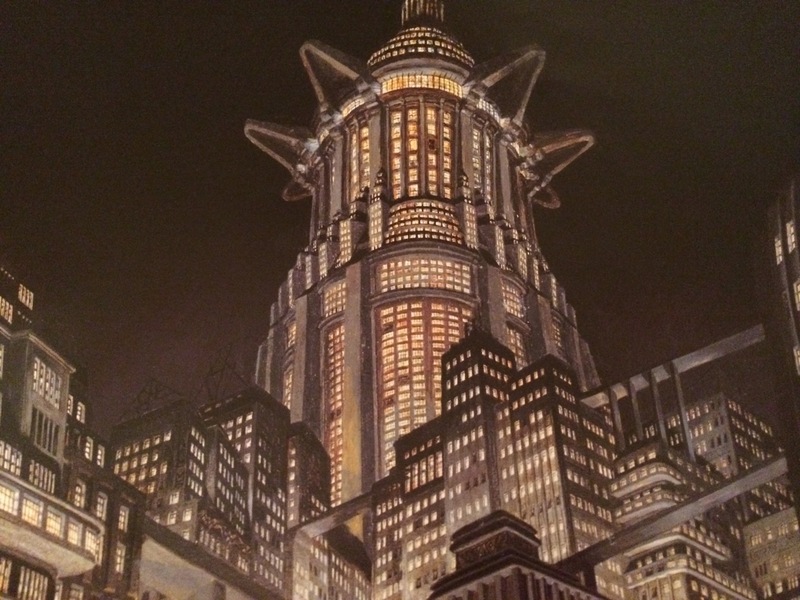 It’s not hard to imagine that this is what a lunar colony could look like. 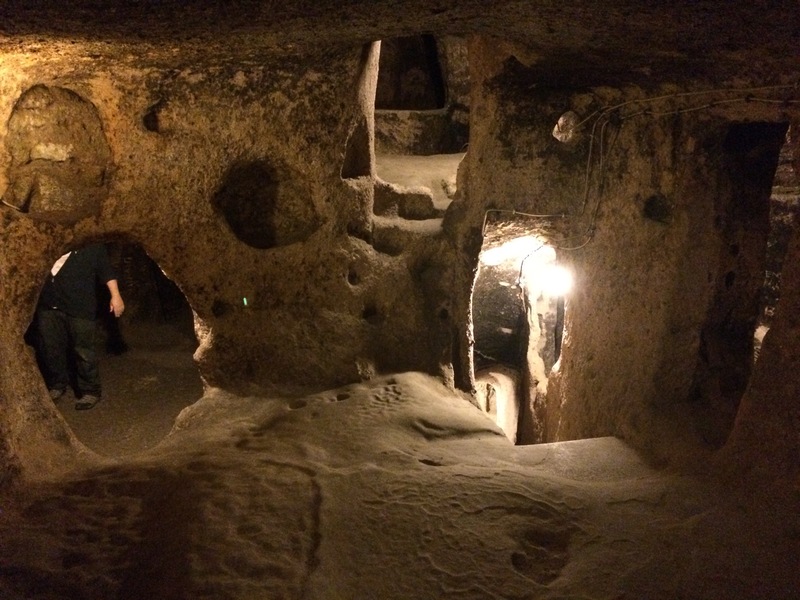 We visited Kaymakli underground city, where Christians sought shelter from persecution in the sixth century. It was a vast network of tunnels and chambers hidden beneath the hills; most passages were so narrow that we had to crawl along on our hands and knees. Coupled with the landscape outside, I was reminded somewhat of the vast underground hives of the Selenites in Wells’s The First Men in the Moon (1901). Reflecting on this region, it occurs to me that in the same way Cappadocia has inspired visions of other worlds, my experience here has also been informed by those same visions. It’s inevitable that I view this surreal Moonscape through the lens of science fiction. The region embodies the central theme of this blog – the blurring of boundaries between science fiction and reality. Maybe that’s why I like it here so much. Don’t forget to follow my travels through Europe on Road to Gallipoli.